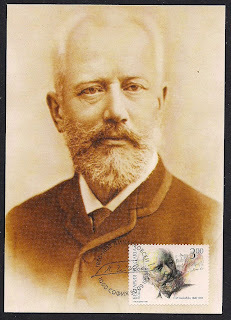 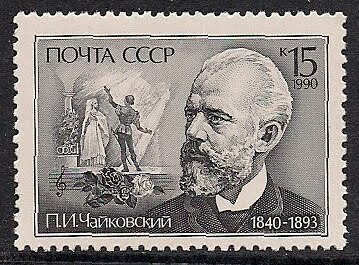 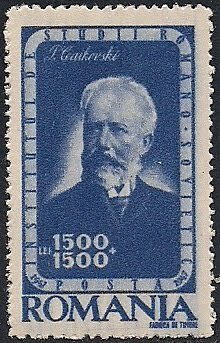 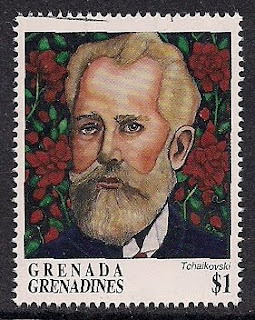 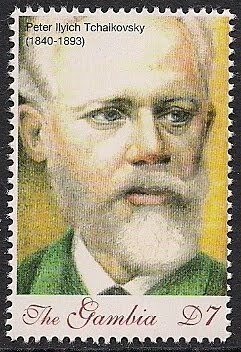 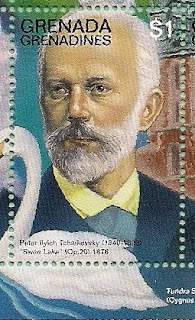 Pyotr Ilyich Tchaikovsky (1840-1893), Russian composer. He studied law in college and entered civil sercice, continuing study music on the side. 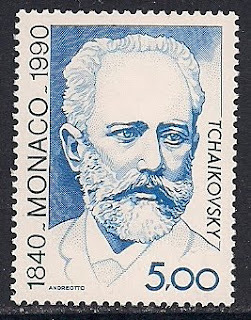 In 1862 he entered the St. Petersburg Conservatory to study with Anton Rubinstein. 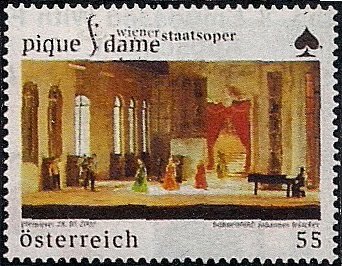 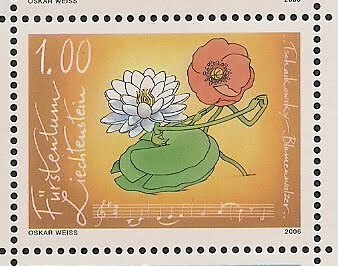 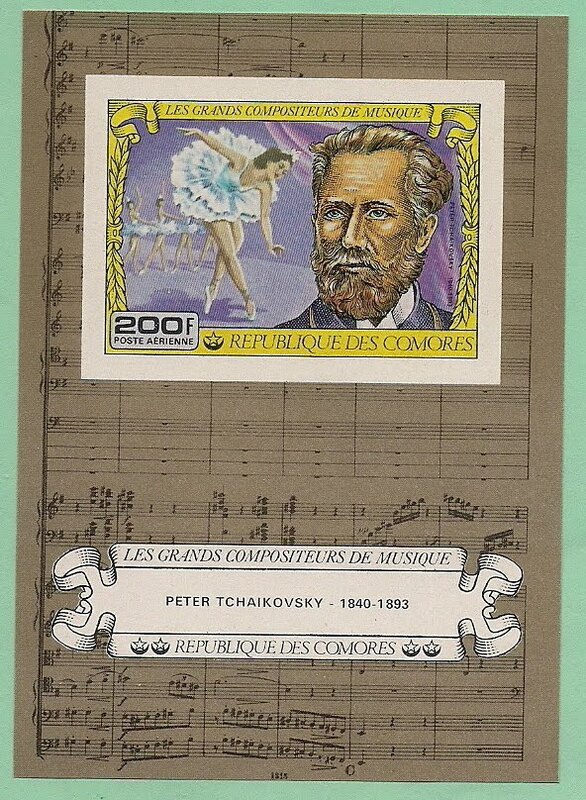 In 1863 he resigned from civil service and concentrated to study composition. 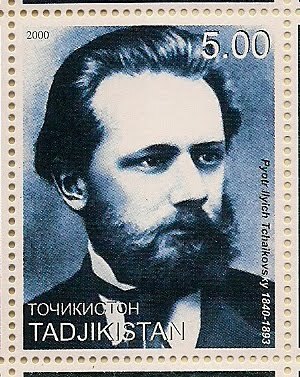 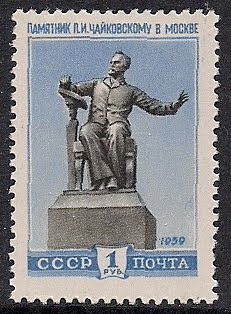 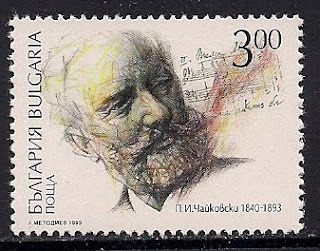 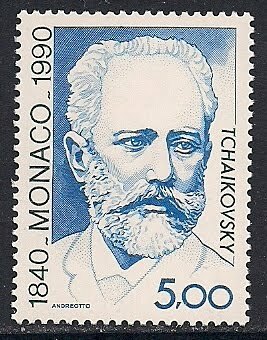 In 1866 he started to teach at the Moscow Conservatory, later served as the head of Moscow branch of Russian Musical Society. 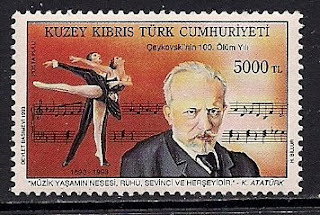 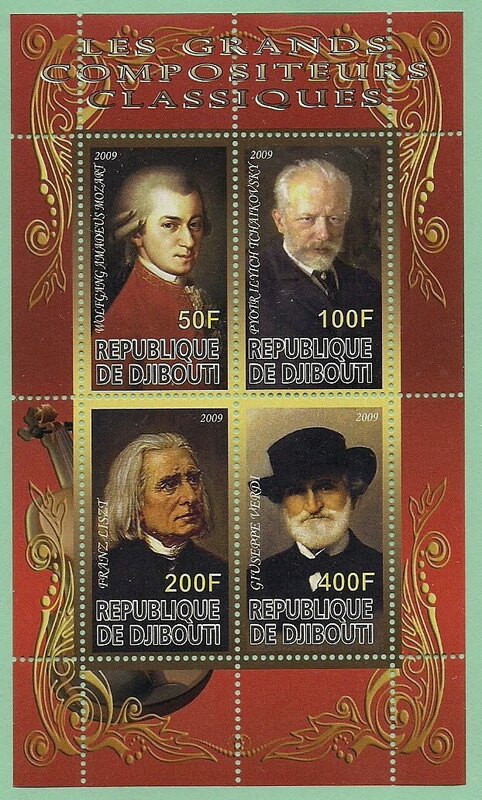 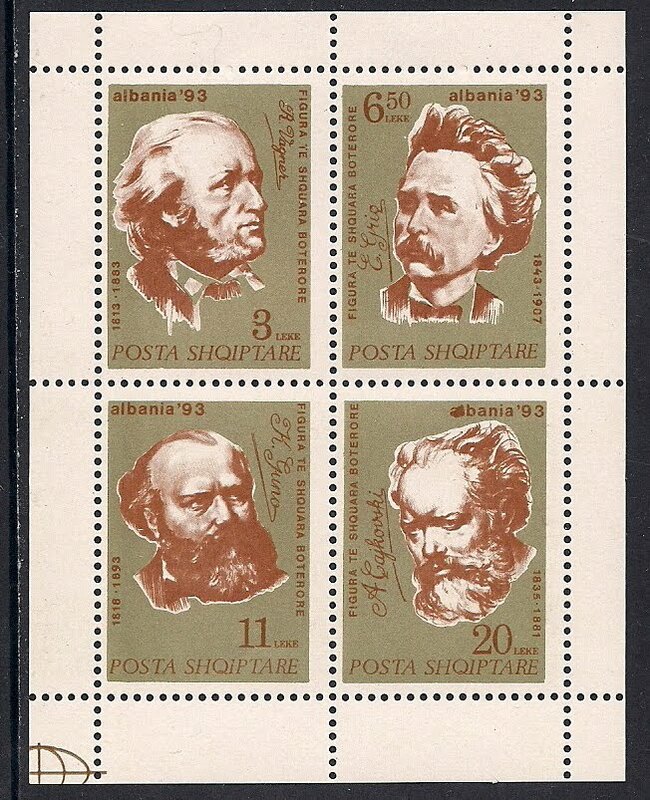 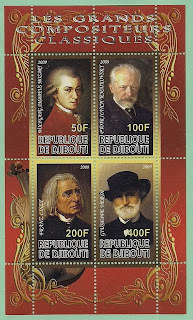 He composed 6 symphonies, operas, concertos(1 violin, 3 piano, 1 cello), orchestral and chamber music. 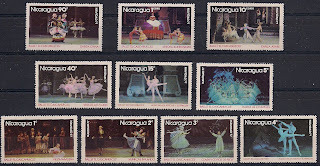 A stage scene from "The Queen of Spade"
Issued to commemorate the 100th birth anniversary in 1940. 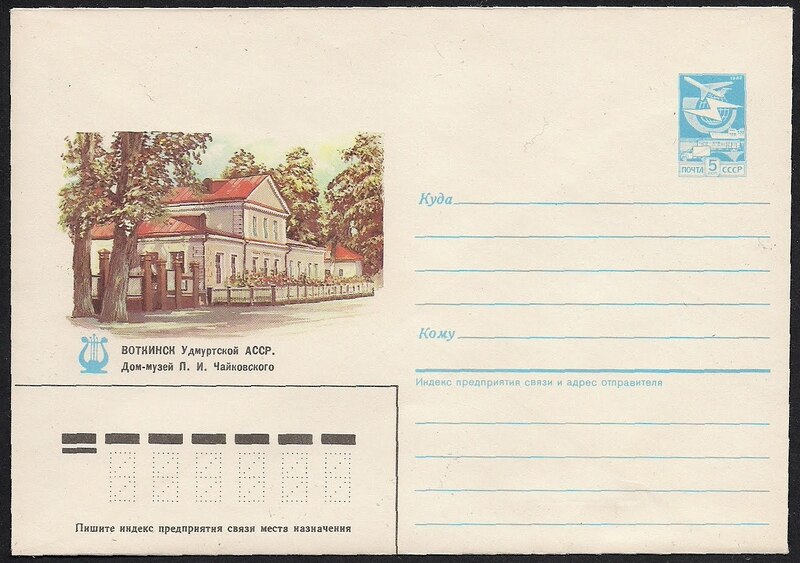 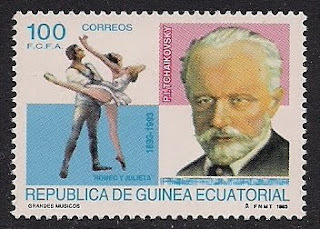 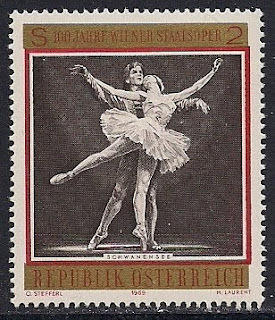 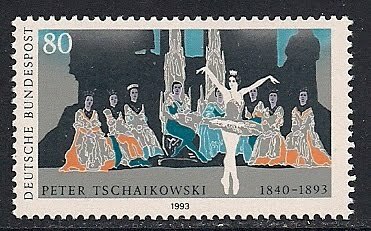 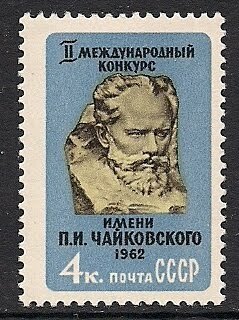 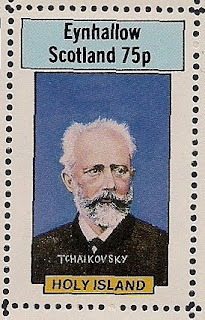 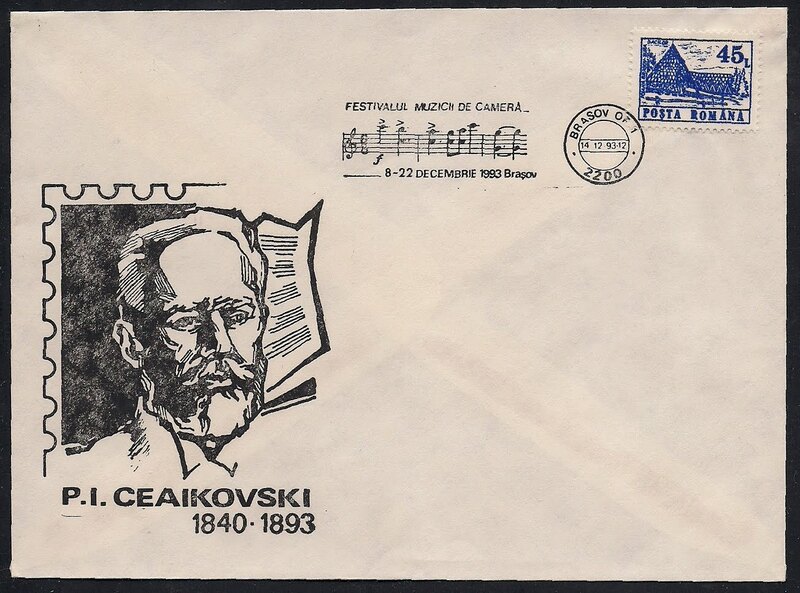 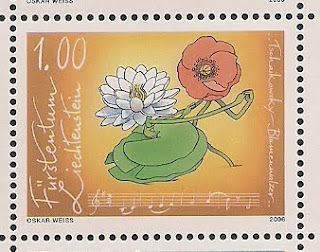 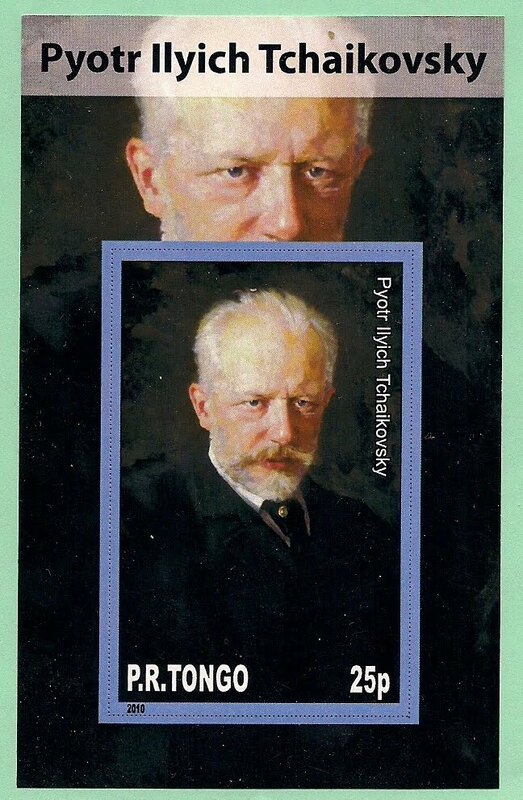 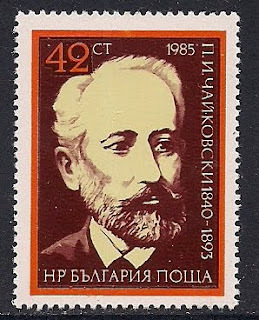 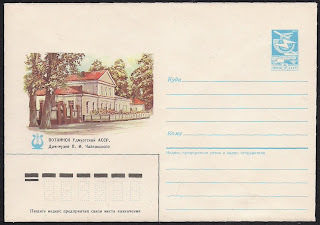 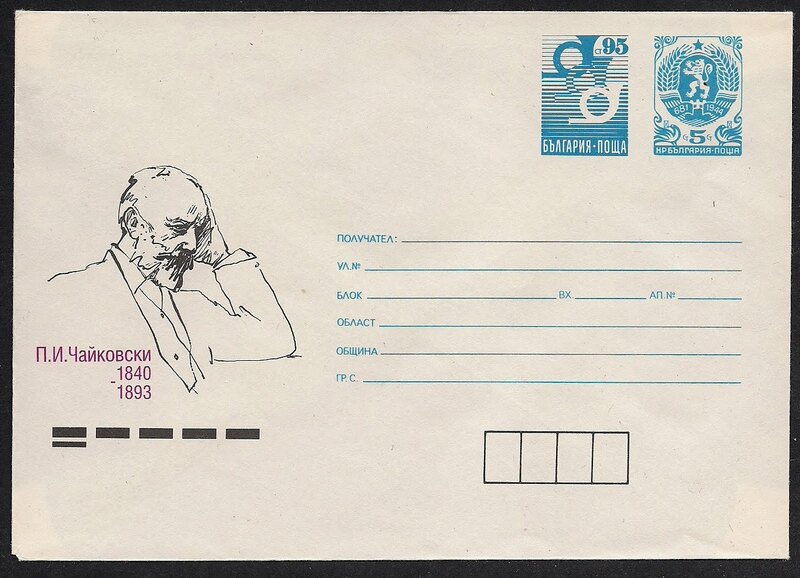 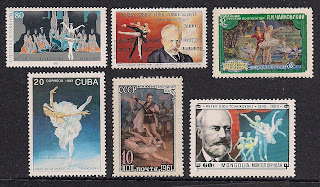 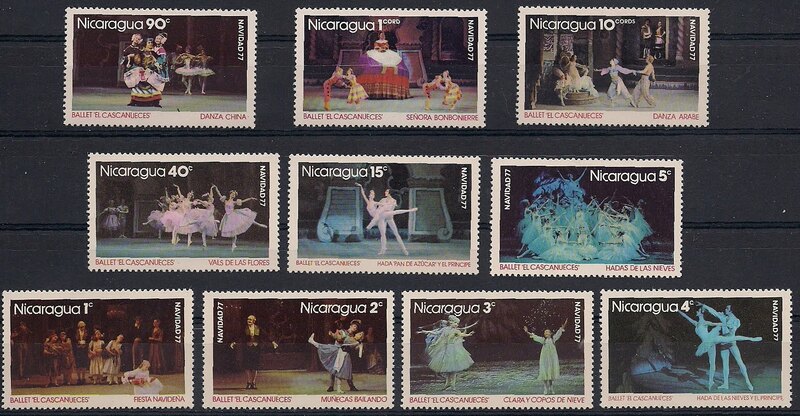 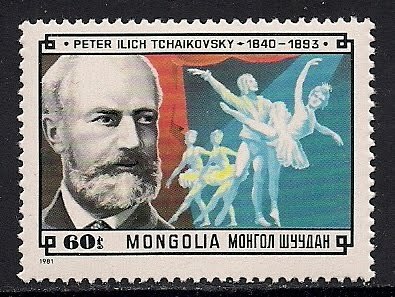 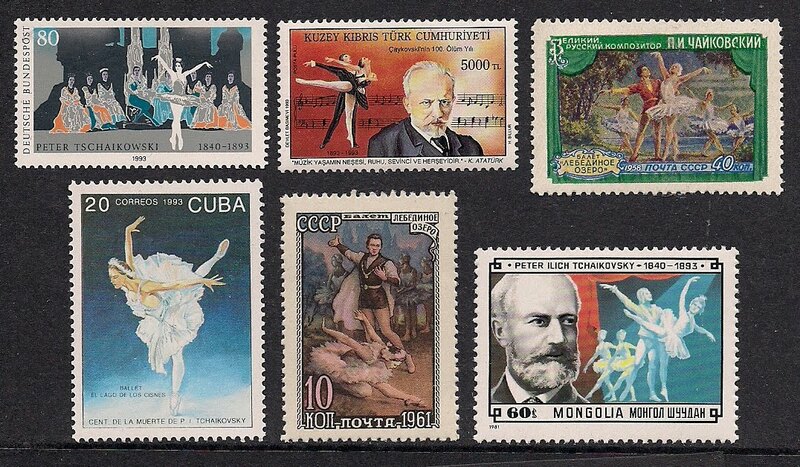 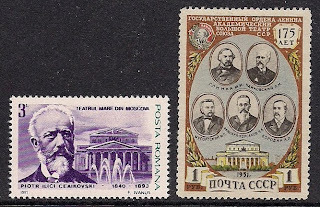 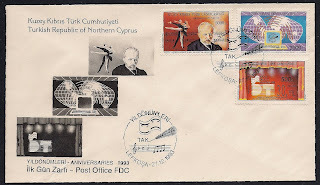 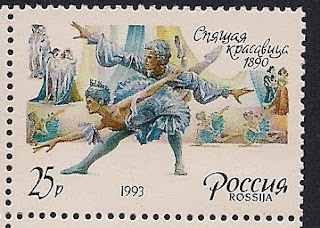 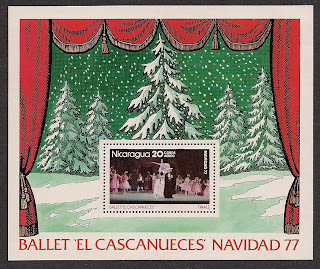 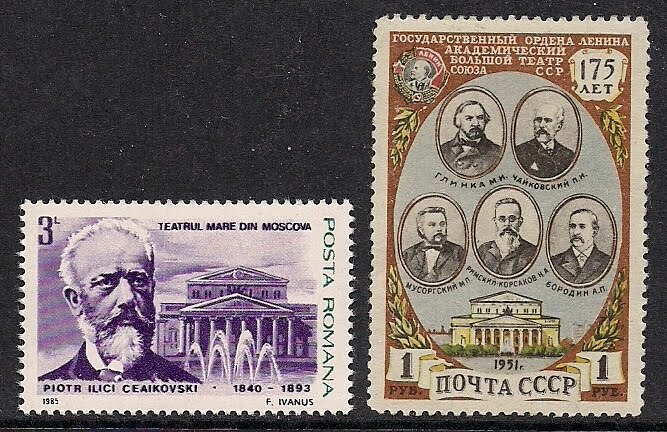 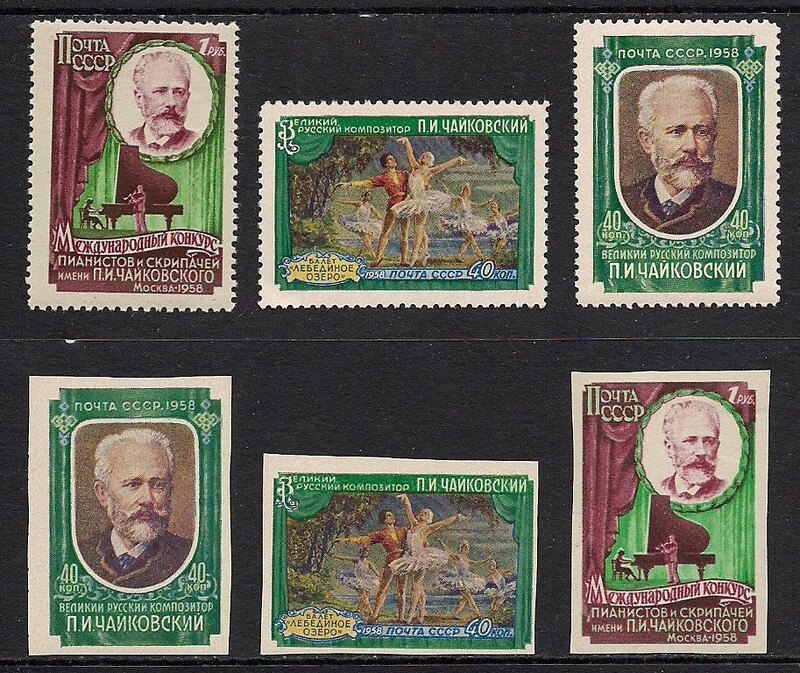 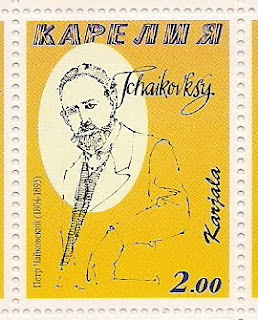 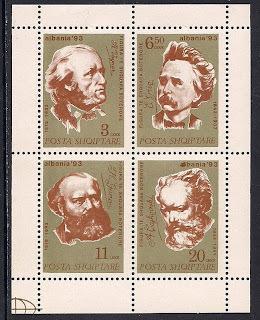 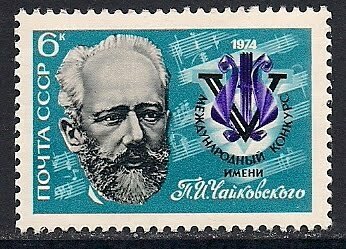 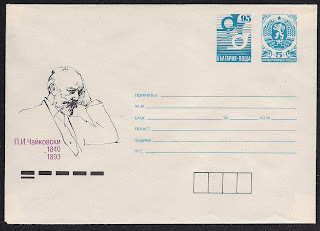 Issued for thr Second International Tchaikovsky Competition in Moscow in 1962. 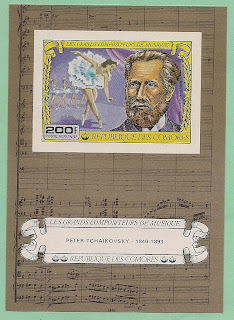 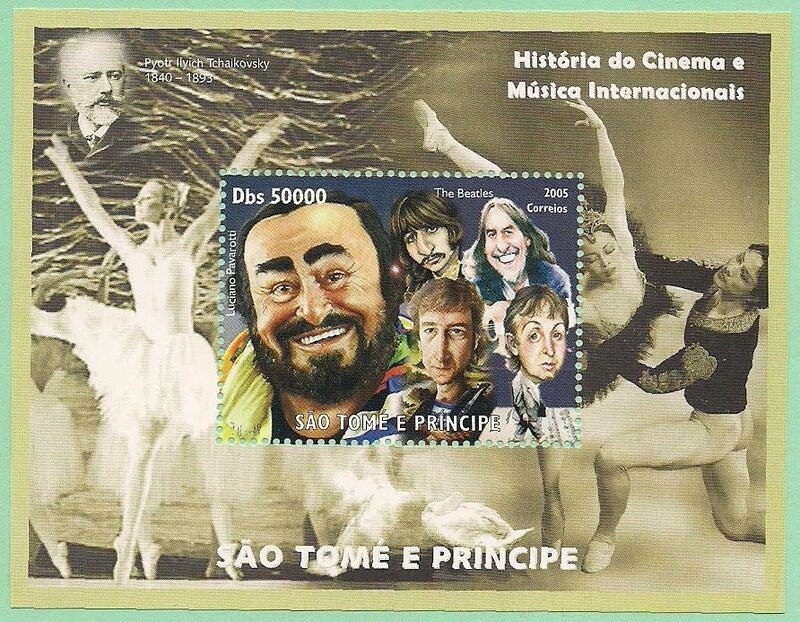 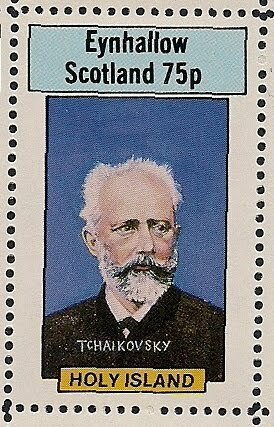 Issued for the Third International Tchaikovsky Competition, May 30-June 29, 1966.
to honor the 5th Tchaikovsky International Competion in 1974.